If you’ve been lucky enough to escape from a fire without major damage to the structure of the home, the aftermath will still involve some major cleaning. It’s perfectly understandable that you will be overwhelmed by the sheer scope of the work ahead. Smoke and water soaks into the carpet. The carpet in your home can trap smoke as well as water, and will need to be cleaned by professionals. The smell of smoke can linger for weeks unless steps are taken to remove it from the carpeting. Water can create very serious mold problems in the future if it is not removed professionally. Move valuable items away from the area. If furniture cannot be moved, slip something like aluminum foil under the feet to protect the wood. Anything that can be removed from the area should be done as soon as possible to prevent more damage. Open the windows to help the drying process and air out the home. After protecting the wood furniture, calling a professional should be the next step. 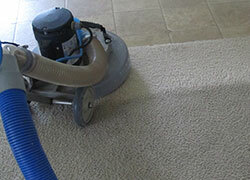 All Action Water Extraction & Carpet Cleaning has the equipment needed to remove water and smoke from carpeting. Any water or smoke left in the carpet will cause problems later. Water left in carpet can become a mold problem later. The floor underneath can become warped and dangerous. Rot can develop over time. When water sits on wood, it weakens it too. Smoke left in carpet fibers can create breathing problems, and the odor can linger for a very long time. We have all the equipment needed to restore your carpet after a fire. We have vacuums to remove the excess water, and we have fans to dry the carpet. The process to remove smoke and water from carpet can be a long, drawn-out affair unless you hire a professional with quality equipment. We’re available 24 hours a day, seven days a week. If there’s a fire at night, you won’t have to wait until the morning to call a professional to clean that water and smoke out of your carpet. You can call us right away, and we’ll start working on your carpet. Water will not have to sit on your floor for hours while you wait. We’ll respond to a customer’s call within one hour. Nobody responds to customer calls like we do. Our trucks are equipped with a water extraction system. The customer doesn’t have to worry about providing us with anything. We have all the equipment needed to perform our jobs. Not only do we pride ourselves on providing a quality service because we have over 20 years of experience, we know that we’ll go above what’s expected. We leave satisfied customers in our wake. When a fire could potentially devastate a homeowner, All Action Water Extraction & Carpet Cleaning comes in and helps the customer restore their home to its former glory. We take immense satisfaction in being the reason customers are satisfied even after they’ve had such a traumatic event. Give us a call at (817) 829-6628 and see how we can take care of all your water removal needs!